There’s a lot of cultural and religious debate that swirls around Halloween. For some, it’s a holy day, a precursor to the Catholic All Saints Day. For others, it’s a loathed day where you have to wear cat ears to work or risk being asked about the whereabouts of your costume constantly. For kids, it’s a chance to shake down your neighbors for candy and eat Dots until you puke. For girls aged 16-21, it’s a celebration of a different sort. But all of these different Halloween celebrations miss the real reason we should be celebrating on October 31st: Juliette Gordon Low. For Girl Scouts around the country, October 31st is celebrated as Founders Day, the day their Beloved Founder, Juliette Gordon Low, was born. JGL definitely would make the Sistorian #Squad. 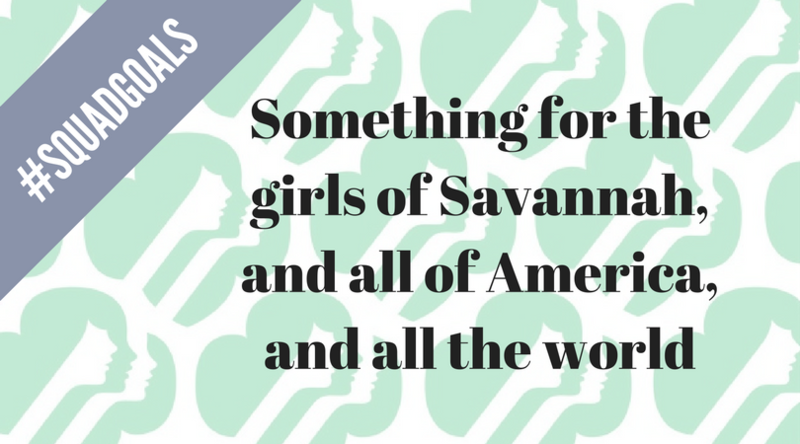 She’s from Georgia, she started a girls empowerment group, her mom’s name was Eleanor, she invented Girl Scout cookies, and she shares initials with underrated hunk-man Joseph Gordon Levitt. Shoutout to the Girl Scouts for not entirely skating over that period of their Beloved Founder’s life. Because this marriage was a doozy. The couple began divorce proceedings after JGL discovered Mr. Low was having an affair with a fellow London socialite. He held all the financial power (because 1800s) but she negotiated hard to get a stipend from him to live off of. After Mr. Low had a stroke, JGL temporarily called off the divorce proceedings to care for him. I know what you’re thinking, and yes, they are JUST like the nineteenth-century Khloe and Lamar. Then he died and left everything to his mistress. NO, SERIOUSLY. Low’s family brought in the lawyers and she did eventually get some $$ and the Low house in Savannah. So, at this point in the story, I would probably just pack it in, take my inheritance and cry in my giant old house about how this was not how I saw my life going. Girls everywhere are glad that JGL and I have some serious personality differences. In her 50s, widowed slash divorced, recovering from a long legal battle, technically deaf, JGL decided it was time to do something BIG. She met the founder of the Boy Scouts, Robert Baden-Powell, and was inspired by his double names and double mission: to prepare boys for military service and to have fun. RBP’s sister had founded the Girl Guides, a similar group for girls in the UK, and helped JGL start a few troops in London and Scotland. True story: I’ve said that like 15 times, and I usually get distracted by Netflix, or realize that it’s hard to start something at night because no one is awake. Or I get all hype and start the plans and in the light of day, it turns out I’ve been planning an amusement park for dogs. Again, so glad JGL and I have little in common. Because she did it. What started as the Girl Guides, a small Savannah off-shoot of the British organization, is today the largest women’s organization in the world. There are Girl Scout troops in every state, wearing those adorable little sashes and vests and pushing cookies onto unsuspecting dieters. Starting in the Daisy program, girls are taught skills ranging from campfire building to coding, knot-tying to Not Taking Crap From Anyone. Every year, the 2.7 million active Girl Scouts celebrate October 31st as something larger than just Halloween. It’s Founder’s Day, dedicated to celebrating the life and legacy of Juliette Gordon Low, role model, fighter, and leader. This year, as you’re picking out your costume and preparing your candy bowl, perhaps you’ll consider doing the same.